Marco Sirignano, show Director of Photography broadcasted by Italia 1, told us how the lighting design has been realized. “For this new production, I wanted to create a rich, colorful, yet refined set; in “Modern Culture” I use DTS projectors mainly for effects and colors, but also to support the conventional lights. 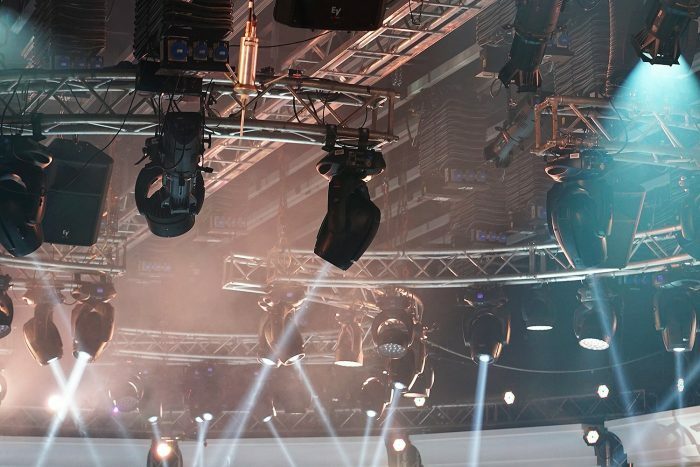 We installed the EVO and NRG 1201 moving heads on two semicircular trusses, to cast light streaks over the stage and in backlight on the audience. In this setup, there are some features of the two fixtures that I found really useful: for example, the beam projection of the EVO, the speed of its zoom, the variety of the gobos. “I know the DTS projectors; they are widely used on television; they are versatile, with an outstanding quality of light and a beautiful color mix.” – told Marco Sirignano – “I have used them in the latest edition of “L’isola dei famosi” (Celebrity Survivors)”. 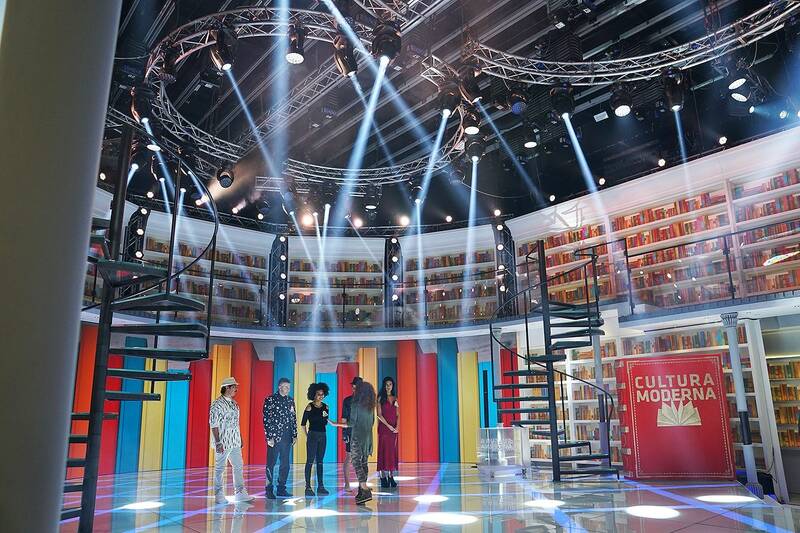 The new season of the tele-quiz “Modern Culture”, has just begun. 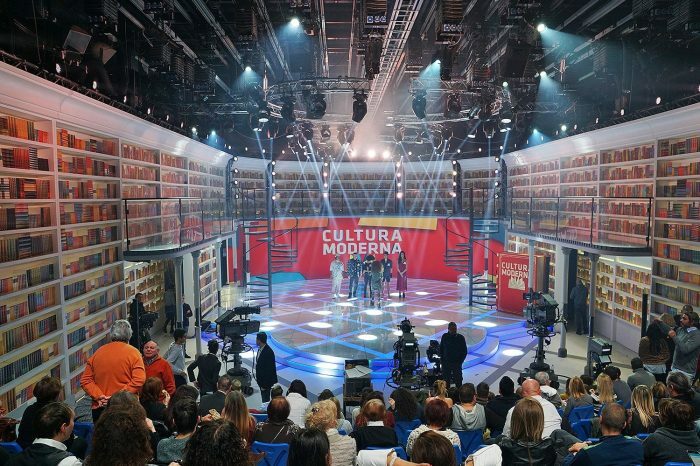 “Modern culture” is made at Studio 5 facilities in the Mediaset production centre set in Cologno Monzese and it represent a great return for the show conceived by Antonio Ricci and produced by Videotime, aired for the first time with great success in 2007. 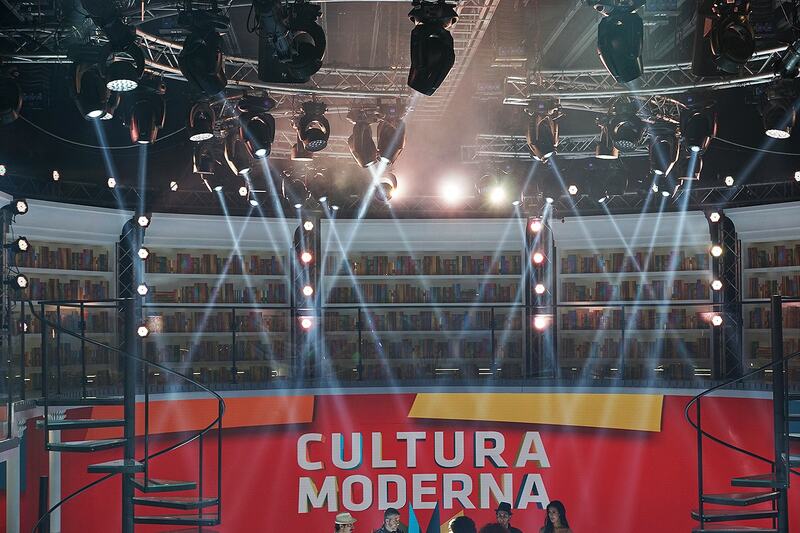 The minimal and effective set design characterized by shelves filled of books, as in a modern and bright library, draws a central area in which take place performances, illuminated by DTS moving heads provided and installed by MMS, one of the most important rental companies in Italy, partner and suppler of the major TV networks.